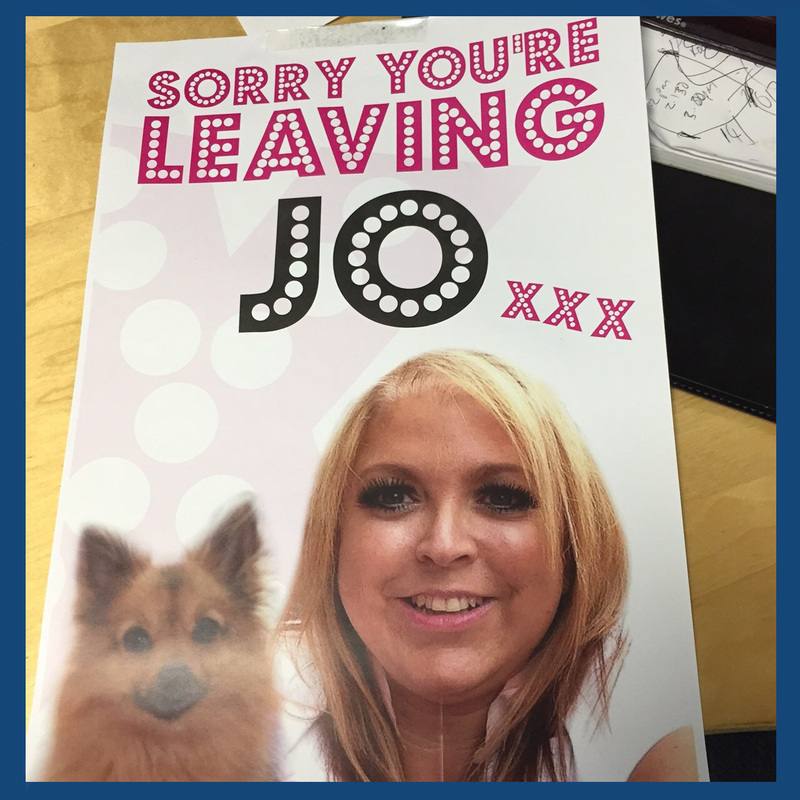 JO SAYS GOODBYE TO DANILO! Jo has been a treasured member of the Danilo team for 12 years and we want to take this opportunity to thank her for all her hard work. But before she goes, we just had a few questions to ask…. 1) How does it feel to be leaving the company after 12 years? I do feel very sad to be leaving Danilo after all these years. I love the people here and have really enjoyed working on all my accounts. Whilst there have been challenges along the way, I’ve found this job to be really rewarding. It is going to feel so strange not to work here anymore. I would like to thank Danilo for the opportunity they gave me and I will miss everyone very much. 2) How did you come to work for Danilo? It feels like such a long time ago, but if I remember correctly, I got a call from an agency saying there was a job going at an Official Calendar Publishers as a Production Assistant. After successfully making it through the interviews, I began my new role here in 2003. After approx. 5 years working in the Production Office I then moved up in the company, quite literally, as I moved upstairs to join the Customer Services Department. 3) What have been your favourite memories of working here? Wow that’s a tough one! I will miss the people I go to lunch with everyday, as we always have a laugh together. Winning a Supplier Award with ASDA has been another highlight, as this was one of the accounts I looked after, so I was very proud. 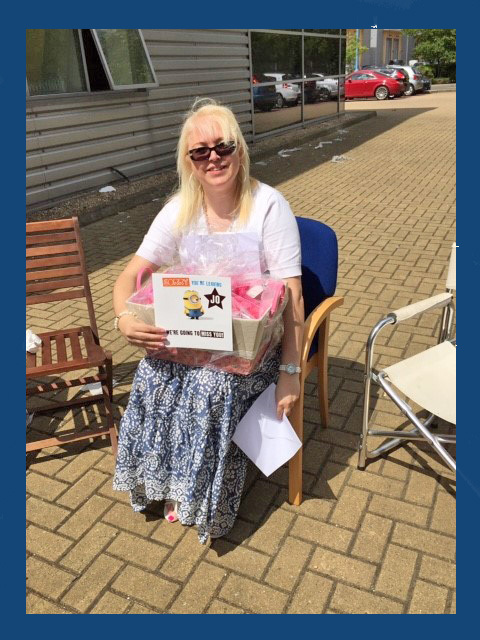 Doing the ice bucket challenge in front of all my colleagues for charity is another favourite but I do have very special memories of everybody here. I’ll miss you all very much! 4) So what is next for you? Well I am moving to Peacehaven, to hopefully start a new chapter in my life. Work wise I’m not sure what I want to do yet. I might try something different or even train in something else. I love animals (especially dogs!) and children, and really enjoy meeting people, so who knows, the world is my oyster! .So look out Peacehaven here I come!!! 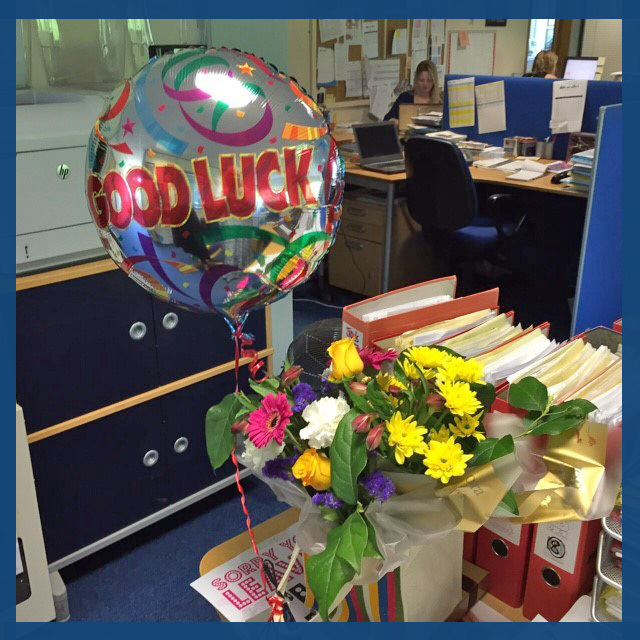 We wish you the best of Luck Jo! We are delighted to announce that we have teamed up with Nickelodeon to create a brand new greetings card and gift wrap range for CGI action-adventure series Paw Patrol. 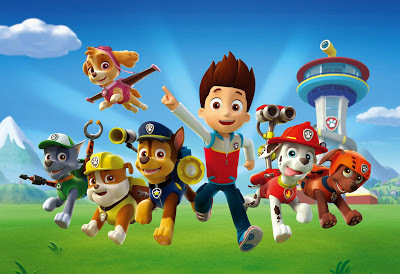 First launched on Nick Jr in November 2013, Paw Patrol has also appeared on Milkshake with 7.3million viewers tuning in so far across the two channels, where series one has already aired, season two is being broadcast later this year and season three is in development for showing early in 2016. And according to NPD, Paw Patrol is now the official number one new pre-school toy property and the top show on Nick Jr.
We will be showcasing our initial Paw Patrol range, alongside other new exciting additions, at the PG Live show in London on 2nd and 3rd June (stand 513). The range will include cards, wrap and bags, with designs covering both boys and girl ages, relation captions and gift bags, plus roll wrap as well as sheet wrapping paper. If you’re a fan of Baking, Great British Bake Off or Paul Hollywood then read on as we have some great news for you!! 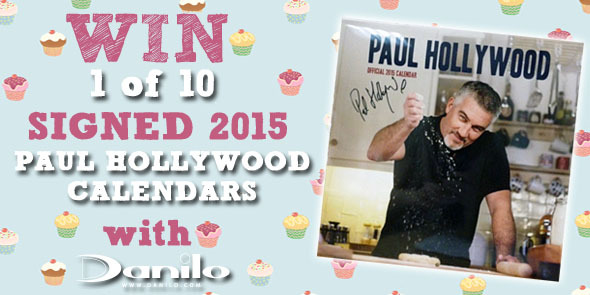 To celebrate #WorldBakingDay this Sunday, we are giving TEN lucky people the chance to #WIN a SIGNED Paul Hollywood 2015 Calendar! English baker and celebrity chef Paul Hollywood has most recently been in the spotlight for judging alongside Mary Berry on the hugely popular TV series ‘The Great British Bake Off’, and brand new for 2015, we are delighted to offer you the opportunity to own your very own copy of Paul’s first Official Calendar, SIGNED by the man himself! Containing 12 stunning photographs, this signed calendar is a great prize for any Paul Hollywood fan! So if you would like the chance to win simply visit our Facebook Page and Like & Share our Competition Post or go to our Twitter Page, follow our account & retweet our competition tweet. Winners will be picked and contacted on Social Media w/c Monday 18th May so make sure you enter before then!